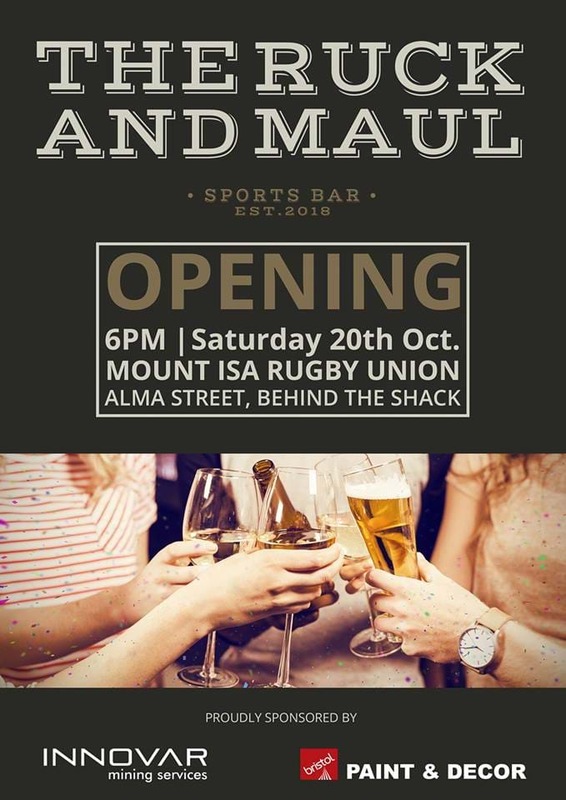 Mt Isa Rugby Union Opens Their New Bar, The Ruck And Maul! Glass of bubbles on entry! GREAT news! Mount Isa Rugby Union have announced they're launching their new bar, The Ruck and Maul! The bar will be opening this Saturday, October 20 2018 and you're invited to come along! Ladies get a FREE glass of bubbles on entry - so if that doesn't sell you, we don't know what will! You can find The Ruck and Maul at Alma Street, behind The Shack.